Creation, dissemination and application of knowledge has always been one of the thrust areas of renowned institutions of higher learning in all parts of the world. 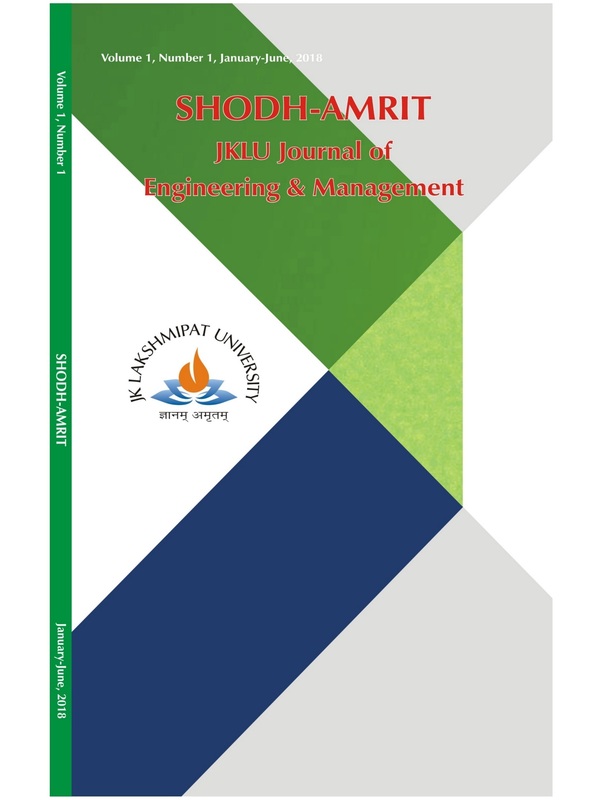 In this backdrop, JK Lakshmipat University feels immensely pleased in announcing the release of inaugural issue of SHODH-AMRIT: JKLU Journal of Engineering and Management, a bi-annual peer-reviewed and refereed journal of JK Lakshmipat University (JKLU), Jaipur. SHODH-AMRIT aims to provide an essence of research to bridge the gap between theory and practice. The journal provides a platform to academia, practitioners and thought leaders in the domains of Engineering and Management to share their research findings with the larger community.